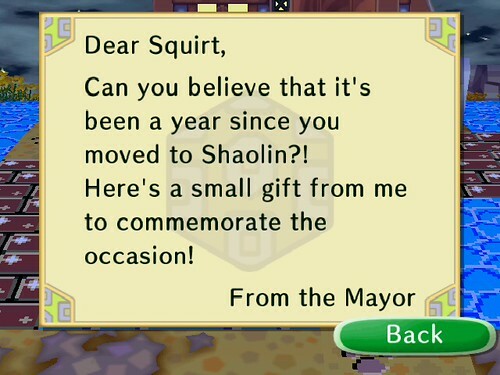 Today King Squirt received this letter in the mail. 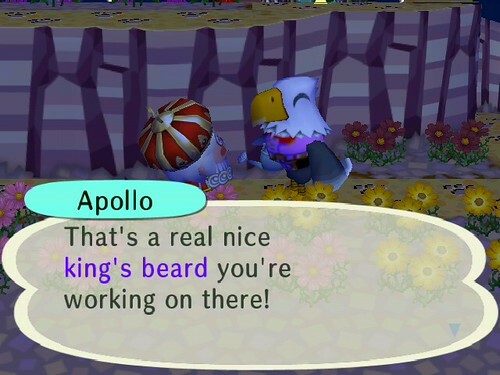 It was the confirmation I’d been waiting for – it has been exactly one year since I started playing AC:CF! Hooray! (Or is that a bad thing…? hehehe) While you won’t find blog entries from last November, you can check the archives… I’m pretty sure I started writing this blog in December of 2008. But my blog has evolved a lot since then! 😀 Thanks to everyone who’s been reading all this time!! Attached to this letter from the Mayor was the final piece that I needed for the Model Town room: The Town Hall Model! 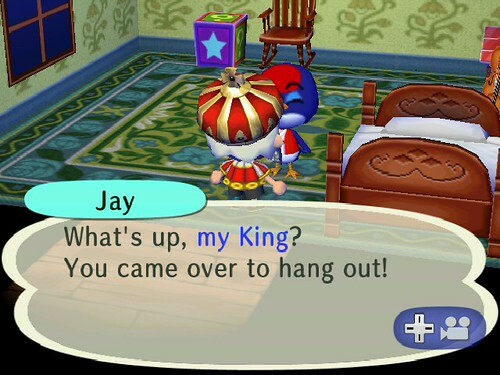 Jay is overjoyed by the King's visit! I am hoping that Squirt will get a cake. He IS the King after all. I will be sure to post and let you know who the mystery best bud will be! My money’s on Rowan, but who knows? 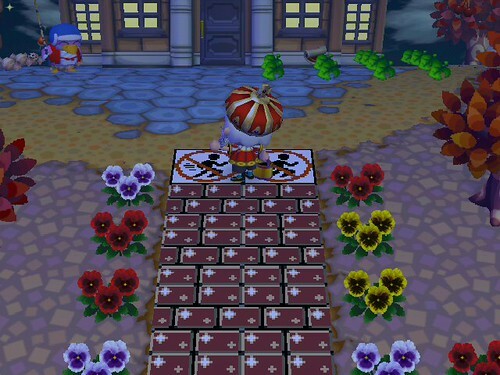 I’ll also commit to opening my gates at 11PM EST on Sunday, if that makes things easier. (But please, if that time’s not good and you still want to visit, just let me know what time works for you and I’ll do my best to accommodate all requests!) Don’t forget to bring PRESENTS!! <<< Preferably items from the list over on the left side bar! Hehehehehehe! 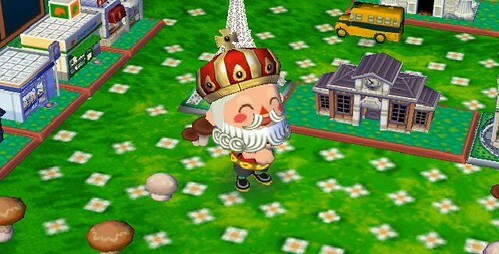 Wow, in ACCF it really makes a lot of more sense that you’ll get the town hall after you have played one year there, it’s really an improvement!! I will be there on 11/22 11pm EST with a birthday present to Squirt. See you then. Congrats on the anniversary! Could I come at… 4 pm CST?